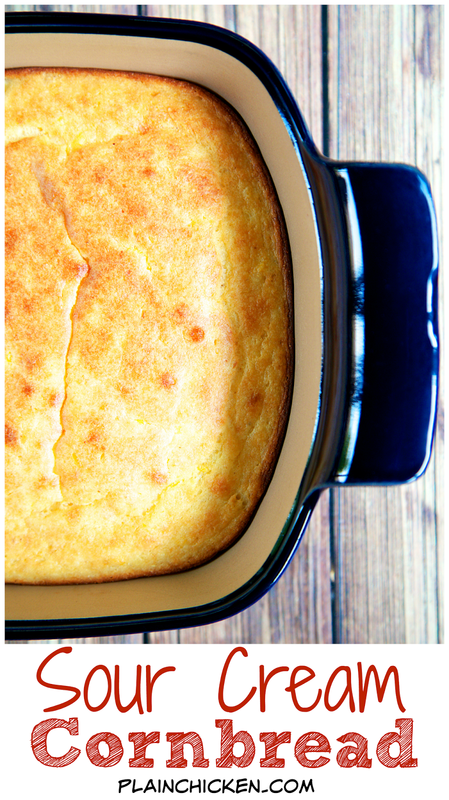 Sour Cream Cornbread Recipe - only 5 ingredients! Ready in 30 minutes! 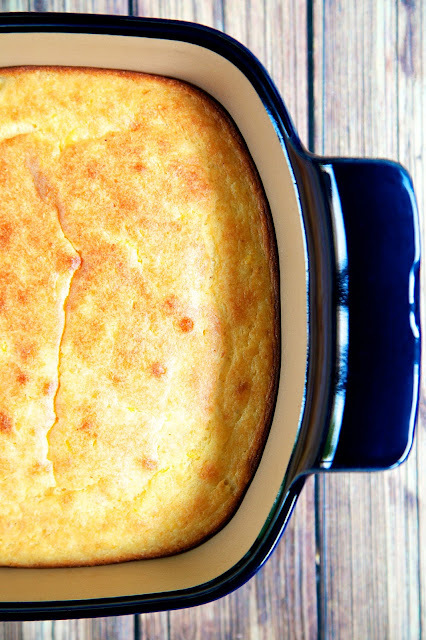 This is seriously THE BEST cornbread recipe! SO delicious and super easy! My Mom sent me this recipe. It was from someone that she knew. She assured me that this person was a good cook, so I gave it a try! OMG! SO good. It only has 5 ingredients and was ready in 30 minutes. We absolutely loved it! Easy and super delicious! Make sure you are buying self-rising corn meal - it worn't turn out if you use regular corn meal. 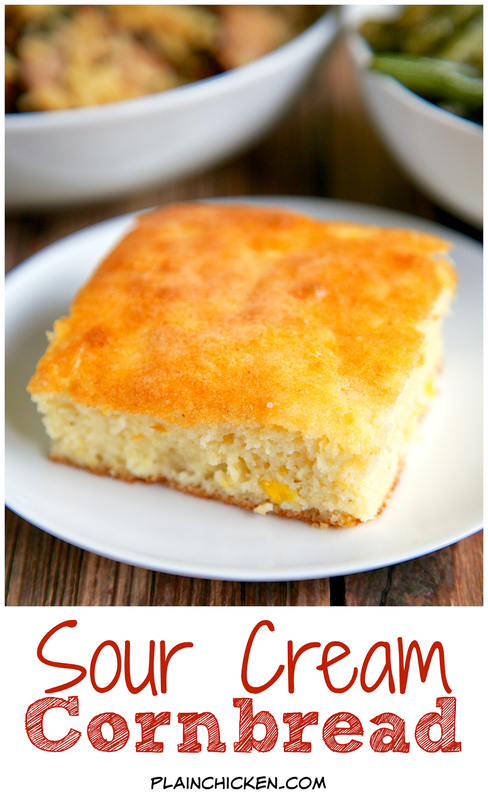 I used Martha White Self-Rising Corn Meal in this Sour Cream Cornbread. I baked this in an 8x8-inch pan. Next time I might try this in my cast iron skillet. Either way, it will be crazy good. Preheat oven to 450ºF. Lightly spray an 8x8-inch pan with cooking spray. That does look tasty and sounds so easy. Can't go wrong there. It was SO easy and tasted great. Chicken Legs talks about this cornbread all the time. It was a real hit in our house! This is the best! I make it all the time. Leftovers are moist and tasty the next day, and it freezes well. Is there no sweetener in this recipe? I've made this recipe for years in my cast iron skillet that I put oil in and put in the oven with a chopped onion as the oven preheats. Then I pour into batter as I stir it and pour back into the skillet to bake. I add cheddar cheese to top. 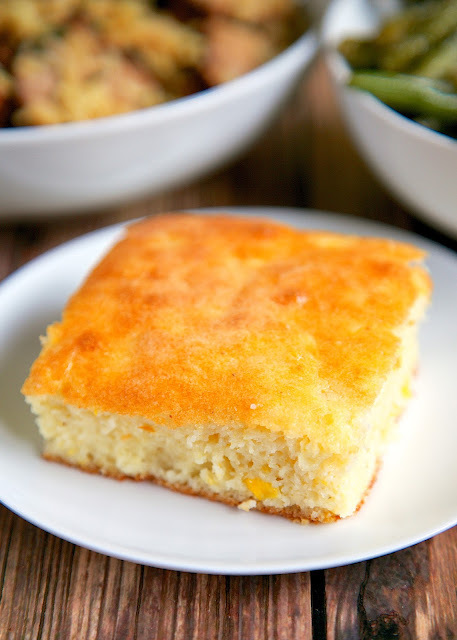 My family's fav cornbread. Can you use olive oil instead of vegetable or canola oil? I haven't tried it with olive oil, but it should be fine.